Are you curious to know how to properly dry and preserve foods such as vegetables, meat, and fruits? 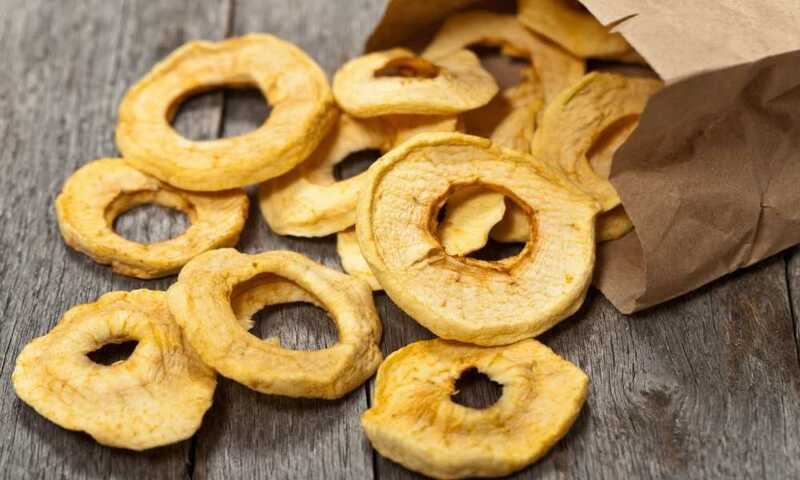 This article is carefully written to provide you with all the food dehydrator instructions that beginners like you need to know to do this successfully. Among the oldest tricks used to preserve food is through the process of removing moisture to inhibit the growth of bacteria. In ancient times, this was achieved through sun-drying. Today, we make use of a device called a food dehydrator. 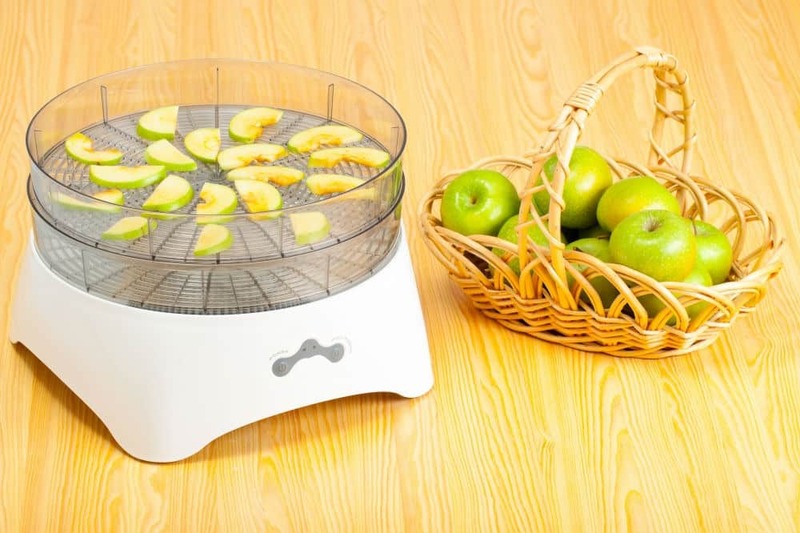 What is a Food Dehydrator? A food dehydrator is a kitchen equipment that is used to extract moisture from different kinds of foods in order to prolong its shelf life. It is a cost-effective method to prepare and store fresh food in the comfort of your own home. The process of food dehydration offers a lot of benefits. It allows the preservation of seasonal food so that it can be made available throughout the year. It also makes it possible to store a significant amount of food in a small space. Some also view food dehydration as a fun and exciting hobby to take on. Another benefit of drying food is on its nutritional value. When food is cooked, some of its vitamins and nutrients are lost. However, eating raw dried food will ensure that you get all of its sweet rewards. 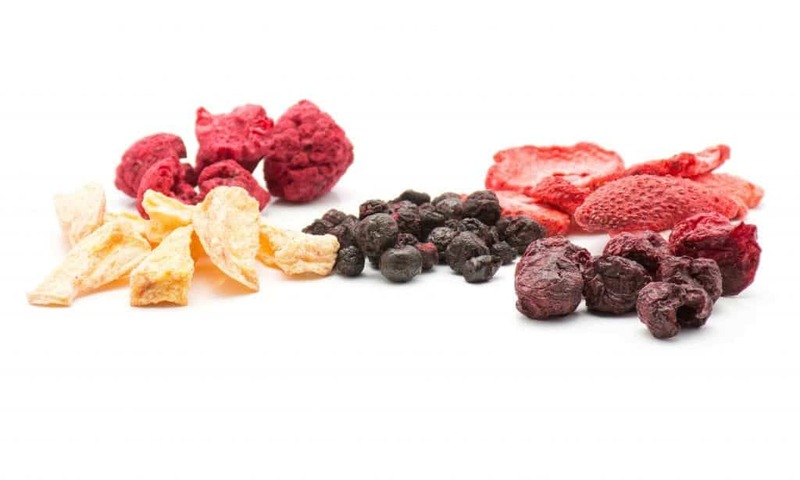 Some dried foods are also stored to be rehydrated and consumed at a future time. Food dehydrators come in two types: shelf and stacking dehydrators. A shelf dehydrator is exactly as its name suggests; it comes with several food trays positioned much like shelves to allow for ease of access and an even and simultaneous airflow. On the other hand, a stacking dehydrator is consists of about four to 10 trays stacked on top of each other, where the source of heated air is either on top or at the bottom of the unit. Along with the advancement of technology came the invention of electric food dehydrators. This device made it possible to easily and successfully preserve food by controlling air circulation and temperature. Basically, most food dehydrator models come with a heating element, air vents, and food trays. These components each have an important role in the dehydration process. The heating element, together with the fan, is normally mounted on the top, at the bottom, or rear part of the device. It is responsible for releasing moisture from the food and blowing it out through the air vents. 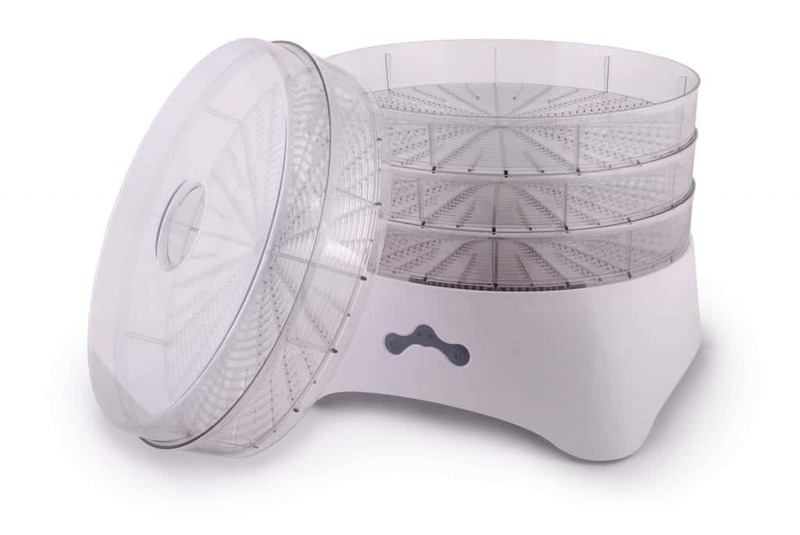 The trays where the food is placed on varies from the type of food dehydrator that you have. There are models that have removable, rigid, or stackable trays while there are also some that feature rotating trays to allow for a more even drying. Depending on your needs and preferences, you can dry different kinds of food simultaneously through the use of these trays. Most food dehydrators come in a multi-tiered design in order to do this. For optimal food drying, make sure that you are educated about the temperature requirements of the food items you wish to preserve. The type of food dehydrator you use also plays a major role in determining the correct temperature settings. Most food dehydrator models include an instruction manual and temperature guidelines in the package. Read everything before you try to start the food dehydration process so as to avoid mistakes and food wastage. At the very least, each food item needs to be around 95% dehydrated to be stored properly. Aim for crunchy, hard, or breakable pieces and avoid spongy, sticky, and soft ones as these need more time to dehydrate. Also take into consideration the air circulation inside the room that you plan on using your food dehydrator as high indoor humidity, breeze, and air conditioning may affect its effectiveness. Find a dry and warm place that is far enough from air vents and windows. Turning the temperature settings higher than the required setting will not make the food to dry any quicker. This will only seal the outside and leave moisture inside, which would eventually cause spoilage. You should always follow what is in the guidelines and do not be afraid to over-dry your food. In order to successfully dry food, you have to take extra care in making sure that everything is clean. Thoroughly wash each food item with an anti-bacterial vegetable cleaner. It will also be a great help if you wear gloves to avoid transfer of skin oils to the food. All vegetables with low acidity levels should be steamed for about 10 minutes before the dehydration process. Make sure to pat dry each vegetable with a clean towel before putting them in the food dehydrator. Use lemon juice on apples and bananas to prevent it from browning. The food dehydration process usually takes about four to six hours or longer, so you have to make sure that you are making the best use of that time and electricity consumption. Similar to using an oven, you can do this by allowing the food dehydrator to warm up and reach the required temperature setting before adding any food. Another added tip to save on electricity is to prepare and dehydrate items with the same required temperature setting at the same time. It will also help to slice the food into similar size and thickness. Food dehydration may seem like a pretty easy thing to do, but it actually requires a lot of research and practice in order to do it properly. The most important thing to remember is to follow every tried and tested food dehydrator instructions, tips, and tricks from the experts. For a successful food dehydration process, know the right time and temperature settings that different food requires. Turning the temperature setting up may seem like a good idea, but it would actually cause the food to seal up and retain moisture inside, rendering the process useless. Additionally, make sure to take extra care in preparing the food you want to dehydrate. Wash each one with a good quality anti-bacterial vegetable cleaner and use hand gloves to eliminate the risk of transferring skin oils to the food. To determine if the food is already dehydrated up to the suggested level, which is 95%, aim for a hard, breakable, or crunchy texture. How Much Does A Food Dehydrator Cost?